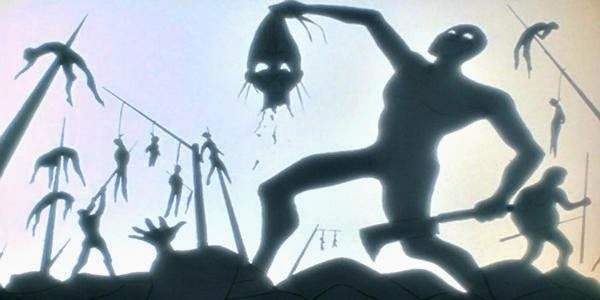 In the universe of Yu Yu Hakusho, the rulers of the Spirit World keep a record of humankind’s atrocities known as the Chapter Black tape. The ravages of Vlad the Impaler, the human meat grinder of the cult of Huitzilopochtli, the psychological torture of the church of Scientology, the apocalyptic slaughter of Hiroshima and Nagasaki, and a thousand other examples of the worst humanity has ever had to offer fill the hours and hours of Chapter Black. This testament to the devoted, pervasive, inventive, bloody monstrosity of the human race is, the lore goes, enough to convince anyone that humanity is utterly beyond redemption. The collected iterations of horror in Chapter Black are so intense and omnipresent that they tar the entire human race by association. In the series, humans who watch even a few minutes of Chapter Black are rendered into quivering, genocidal shells of their former selves. A former agent of the Spirit World, Shinobu Sensui, watches Chapter Black and hatches a plan to turn the whole of the demonic realm loose upon humanity. The group of psychic teenagers he forces to watch the tape join him in his quest to let demons feast upon all mankind, unable to reconcile their previous morality with any desire to let the depicted species persist. For what could redeem any collection of sapient creatures whose accomplishments include depopulating two continents and creating monsters like Elliot Rodger and Ratko Mladić, Che Guevara and Pat Robertson, Ogedei Khan and Pasha Küçük Mehmet? It’s an interesting thesis, the idea that the only response to such an outpouring of horror is violence. But what if we can look on the monstrosity of the human race’s record, and see a different solution? At the end of the season, the outcast demon Hiei acquires the Chapter Black tape. A tormented figure, Hiei is honorable yet bloodthirsty, forced to be selfish and cruel by a demon world that could not tolerate his unusual heritage. His time among the heroes has softened his edges, an idea he does not like and finds confusing. He imagines that watching the Chapter Black tape will make things clear again, and clear him of his building sympathy for humans. Instead, he destroys the tape. But is that how we have to deal with human evil? Hide it, bury it, erase it from our minds? Drop it from all thought and leave it totally unacknowledged, so that we can still think ourselves good? Do we abandon the long-form census because the things it showed us made us look bad? Do we turn ourselves “race-blind” to make racism “go away”? Avoid the topic of history altogether, because every other page is humans being awful to other humans for awful reasons? We’ll never fix problems we refuse to face. Hiei’s goal is not to make the world a better place. Like many cartoon heroes and especially anti-heroes, his focus is far narrower. Hiei and his allies fight specific enemies and thwart specific plots, and Hiei in particular does even this much because his parole officer tells him to and he doesn’t want to rot in spirit-world prison for his earlier crimes. Hiei feels no need to grapple with the smorgasbord of evil that humanity serves, spread across six continents and teeming billions of people. Even at his most heroic, they are not his concern. Those of us who lack his privilege of being able to save the world by impaling specific bad guys on fiery katanas and calling it a day cannot afford to be so blithe. 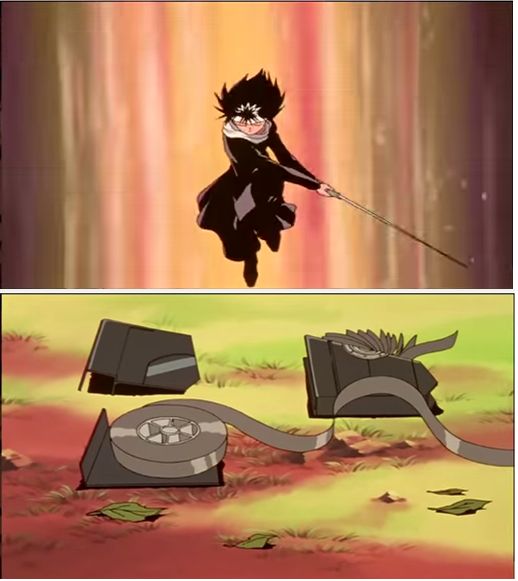 Hiei destroyed the Chapter Black tape, but that was the wrong target. There is no evil in information. Knowledge is power, and power can be used for any goal. And exercising power in any kind of useful or purposeful way requires lots and lots of information. Ethics requires understanding. What if the seven psychics had, instead of breaking under the strain of humanity’s accumulated evil, seen Chapter Black as a challenge? As it turns out, Chapter Black was never meant to be viewed on its own. It has a companion piece, Chapter White, which treats in exhaustive detail the human race’s empathy, compassion, altruism, and excellence. It is an explicit repudiation of Chapter Black’s thesis: that there is nothing redeeming in humanity, no counterpoint to our species’s sordid record. It is a statement that, for every Ayn Rand that blemishes the very earth with her time in it, there is a Muhammad Yunus making the world a better place for all of us. 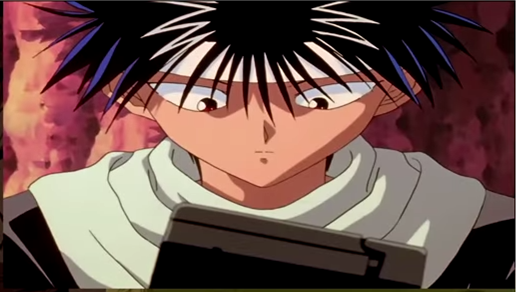 Would Hiei and his companions have even had an antagonist to defeat if Sensui had had the sense to steal them both?